THE REASONS WHY YOU BUY IT? ✔️ Full-body workout, combines calorie burning cardio with muscle toning in one simple step. ✔️ Saves time No need to drive to the gym and use several machines. ✔️ Easy to set up, lightweight and height adjustable Comes 90% pre-assembled, ready to use in minutes. And compact folding for an easy storage. ✔️ Digital display design that can measure the time, speed, distance and calories. ✔️ You can workout your hips, thighs and arms.It can be foldable that for easy storage and save your space. ✔️ Get perfect shape,lose your weight. The machine is so stable and in high performance. It can burn your calories and make your muscles stronger. ✔️ Suitable for both men and women. 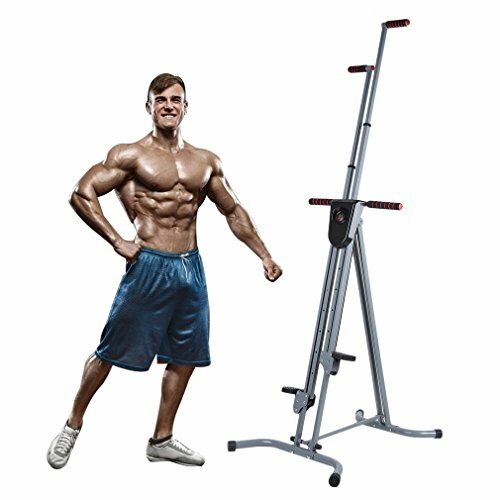 Perfect for you to exercise and training. ✔️ Help to keep fit and one who wants to lose weight. You can use it at home and in gym. 【DURABLE STEEL CONSTRUCTION】Square steel tube design to ensure stability when you workout. Full-body workout, combines calorie burning cardio with muscle toning in one simple step. If you have any questions about this product by Homgrace, contact us by completing and submitting the form below. If you are looking for a specif part number, please include it with your message.